Zoe knows she doesn't belong in a hospital so why is she in one? Twin Birch isn't just any hospital. It's a strange mansion populated by unnerving staff and glassy-eyed patients. It's a place for girls with serious problems; skinny, spindly girls who have a penchant for harming themselves. Zoe isn't like them. And she can't figure out why she was sent here. Writing letters to her best friend Elise keeps her sane, grounded in the memories of her past-but mired in them, too. Zoe is lost without her, unsure of how to navigate tenuous new friendships and bizarre rules without Elise by her side. But as her letters intertwine with journal entries chronicling her mysterious life at Twin Birch, another narrative unfolds. The hidden story of a complicated friendship; of the choices we make, the truths we tell others, and the lies we tell ourselves. The story of a friendship that has the potential to both save-and damage beyond repair. 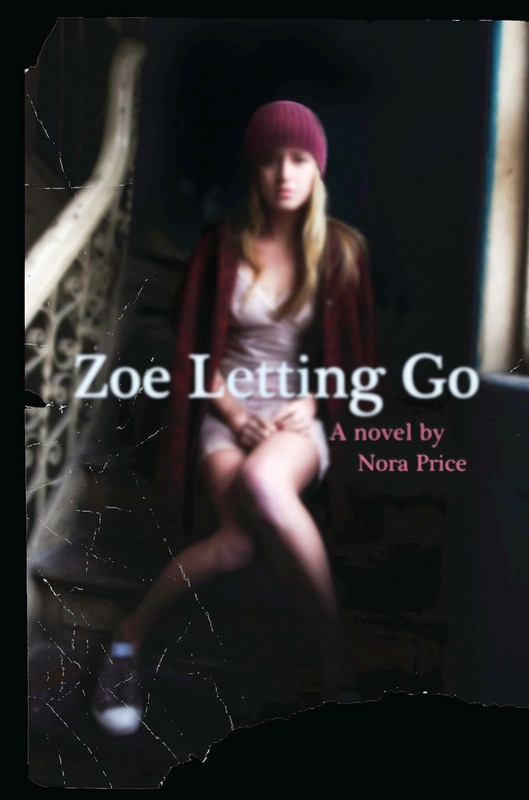 And Zoe finds she must confront the truth about her past once and for all, before she can finally let go. I am not sure if there is an official stand on books about anorexia in school libraries. I know that there is a belief that schools should not have books on suicide or ‘cutting’ on their shelves, but I haven’t heard the same thing about anorexia. This little ramble leads me to today’s book which is about anorexia. I have strong memories about the book “Second Star to the Right’ by Deborah Hautzig which came out in the 80s, and was also about anorexia. While many books about anorexia tend to focus on the character losing the weight and how they go about doing it, this book starts off with Zoe being driven to Twin Birch, an institution where she meets 5 very thin and obviously anorexic girls. Zoe has no idea why she is there, as she is nothing like these girls. Like many girls who develop eating disorders, Zoe is not fat, in fact she is quite happy with her appearance. Her best friend, Elise, on the other hand is a stunner, so while perfectly attractive in her own right, Zoe feels she will never be much compared to Elise. Their friendship is the key to why Zoe is at Twin Birch.The story follows her time at Twin Birch and her developing friendships and conflicts with the other 5 girls. During her time here, she writes letters to Elise, her best friend, and it’s through these letters that we start to find what lead Zoe to this place. I liked this book because it was one of those stories, that unfolds as you read. Bit by bit you get more information until it gets to a point where you think...oh, of course. The big contrast between this book and a book like Second Star to the Right is the treatment. In the 80s, the treatment seemed very clinical, hospital surroundings and regular weigh ins. I am no expert, so that may still happen, but in this book the treatment is very different. There is a group of 6 girls, they cook, garden, have regular appointments with the therapist and the rest of their time they are encouraged to get to know each other. There are no weigh ins, but they do have to eat specific serving sizes at every meal, so the girls are aware they are gaining weight, but the focus is more on the food, not the resulting weight gain from eating the food. There are even recipes throughout the book, for the things that the girls make. The other interesting this is that they don’t use the word anorexia much at all throughout the book.